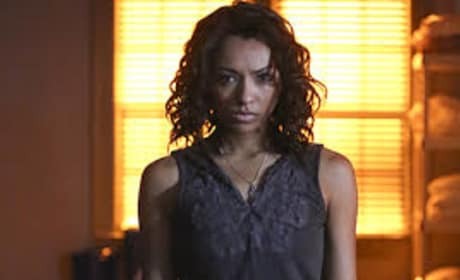 Bonnie looks gravely concerned in this photo from The Vampire Diaries Season 8 premiere. 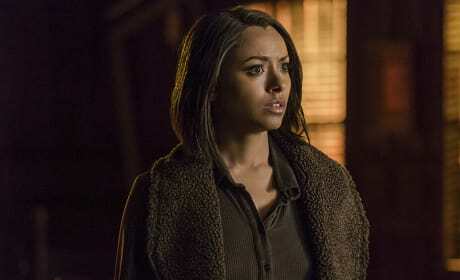 She's worried about Enzo. 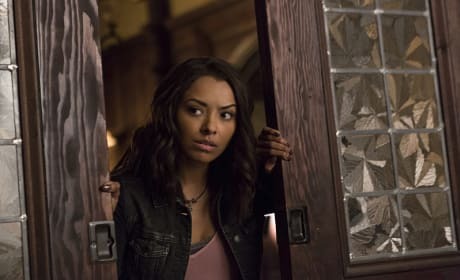 The Season 7 finale of The Vampire Diaries comes down to this question: can her friends save Bonnie? Now there's some Christmas spirit! Thank you, Bonnie! Thank you for ringing in the holidays with a smile on your face. Oh boy. 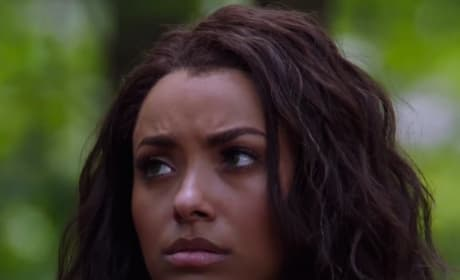 Someone has dared to mess with Bonnie. That someone is about to pay a serious price. 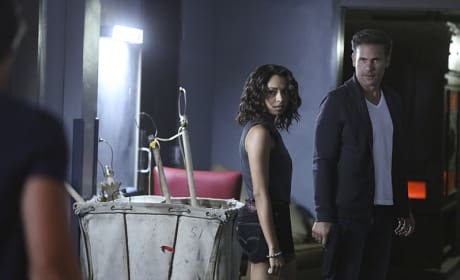 Who dares mess with Bonnie and Alaric?!? The two are on a mission on the episode "Age of Innocence." Bonnie confers with Matt in this scene from "Never Let Me Go." The latter, of course, is a police officer now. Best friends forever! 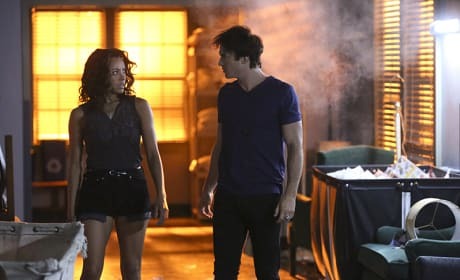 Damon and Bonnie are on a road trip in this Vampire Diaries scene. Bonnie is back in the present day. 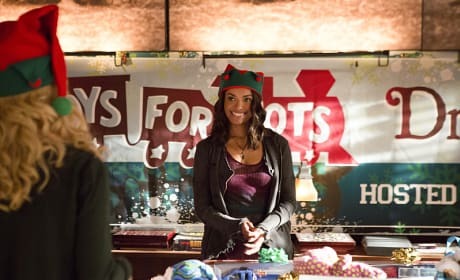 And she's sharing a meal here with Damon. 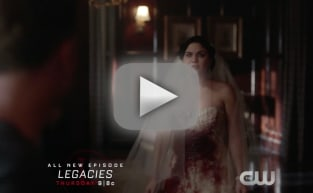 There is so much speculation about what's to come in the finale and these photos, mere glimpses at moments in Elena's life, aren't giving us many clues!